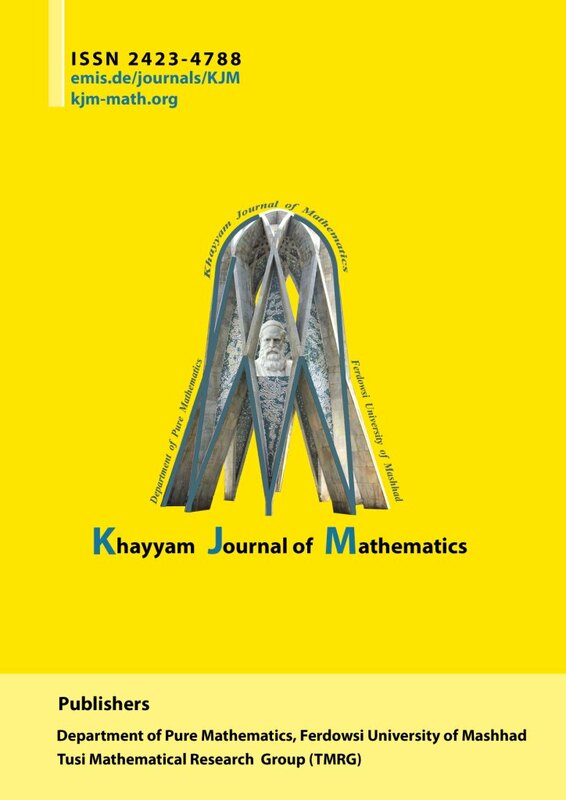 The Khayyam Journal of Mathematics (KJM) (e-ISSN 2423-4788) is an international open access, peer-reviewed, referred electronic Mathematics journal. This journal is free of charge for readers and authors. KJM applies the Creative Commons Attribution (CC BY-NC) license to the published articles. KJM has been accepted for inclusion in Scopus since 10-May-2018. Combinatorics, Commutative Algebra, Linear and Multilinear Algebra, Homological Algebra, Group Theory, Topological Groups, Dynamical Systems and Ergodic Theory, Abstract Harmonic Analysis, Functional Analysis, Operator Theory, Differential equations, General Topology, Algebraic Topology. It publishes papers with deep results, new ideas, profound impact and significant implications. The journal is composed of original research and survey articles. Webspace services are also provided by FIZ Karlsruhe / Zentralblatt MATH for KJM. Scopus KJM has been accepted for inclusion in Scopus.